As a direct result of pregnancy, breast feeding, and childbirth, mothers may choose to undergo a Mommy Makeover procedure to simultaneously restore and rejuvenate their breasts and abdomen at the same time, by combining a tummy tuck with breast enhancement / rejuvenation surgery — either a breast lift, breast augmentation, or breast reduction surgery. Following pregnancy, mothers may develop mild to moderate muscle laxity and weakness of their lower abdomen muscles (“pooch”) along with the development of stretch marks with the development of loose and flabby skin. In addition, breasts may undergo size changes due to lactation-induced enlargement followed by breast deflation and atrophy. There are many advances in cosmetic plastic surgery allowing mothers to undergo a mommy makeover procedure that corrects and rejuvenates both the tummy and the breasts at the same time. The extent of the mommy makeover procedure is directly related to the amount of excess skin, fat and laxity of the underlying abdominal muscles and the amount of postpartum deflation and breast atrophy. In circumstances where there is minimal abdominal muscle weakness and minimal skin excess, a mini tummy tuck may be performed. In addition, for mothers requiring liposuction of the upper abdomen and flanks, a lipoabdominoplasty technique may be performed to provide the best aesthetic result. Cosmetic breast restoration or breast enhancement is accomplished with either breast augmentation, breast mastopexy – breast lift, combination breast augmentation with mastopexy, or a breast reduction procedure. What can I expect during my Mommy Makeover consultation? 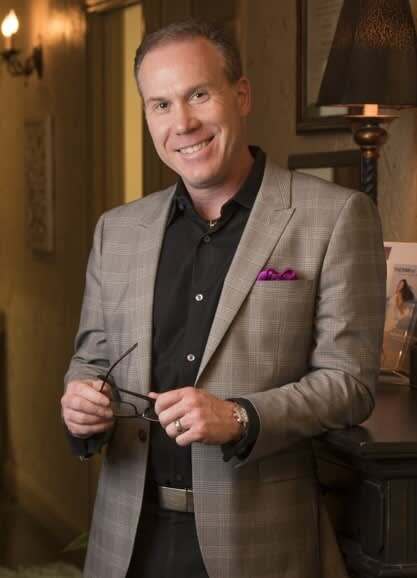 During your consultation, you will meet privately and exclusively with Dr. Michael Thornton where you will collectively share in the decision making process about your personal needs, desires, and expectations. Although well qualified, we choose not use patient coordinators, nurse practitioners, or physicians assistants to perform your consultation. Dr. Thornton will complete a thorough medical history and perform a careful examination of your breast and abdomen to formulate a personal surgical plan that is best suited for your body anatomy. Where will my Mommy Makeover surgery take place? All mommy makeover procedures are performed under general anesthesia at Baylor Surgicare at Mansfield, a AAAHC certified out-patient surgery center, located in Mansfield, Texas. On average, the procedure will take 5 – 6 hours to complete, depending upon the complexity of the case. For some clients, the tummy tuck procedure and the breast restoration procedure can be performed at the same time as a single-staged operation. However, with clients having more complex figure distortions it may be recommended to separate the mommy makeover procedure into a two-stage operation. This determination will be made on an individual basis. All mommy makeover procedures (tummy tuck, liposuction, and breast restoration) are performed using general anesthesia as provided by board-certified anesthesiologists at a certified and licensed AAAHC out-patient surgery center – to ensure the highest level of patient comfort and safety.